Founded by Scottish-American conservationist John Muir in 1892, the Sierra Club is now America’s largest and most influential grassroots environmental organisation with three million members and supporters. Successes range from protecting millions of acres of wilderness to leading the charge towards a clean energy economy. The Sierra Club was one of the first large-scale environmental preservation organisations in the world, and currently engages in lobbying politicians to promote environmentalist policies. The Sierra Club is organised on both a national and local level. The club is divided into chapters representing large geographic areas, some of which have tens of thousands of members. These chapters are divided into regional groups with special interest sections, committees, and task forces. While much activity is coordinated at a local level, the Club is a unified organisation and campaigns on a national level. In addition to political advocacy, the Sierra Club organises outdoor recreation activities – including wilderness courses, hikes and alpine expeditions – and has historically been a notable organisation for mountaineering and rock climbing in the United States. Paul Zimmerman (PZ), Chief Operating Officer at Invotra interviews Sierra Club’s Chief Innovation Officer, Chris Thomas (CT) and its Director of Digital Product Management, Adam Kapp (AK). PZ: Chris, can you give us your brief overview of the Sierra Club today and its current priorities? CT: Sierra Club is an 126 year old, large grassroots organisation. 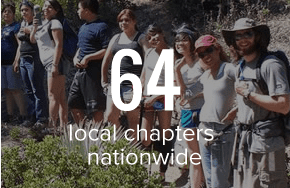 It has over 60 chapters all over the US and a formidable network of local participants and volunteers who carry out our mission at the local level. We also have the national operation that takes care of our major campaigns, sets policy and supports these local chapters. Our mission is about protecting wild places and it’s about climate change, moving us from fossil fuels to clean and renewable energy. It’s also about finding ways environmentalism and social justice connect. By that I mean, we often find the people most impacted by climate change are frontline communities having to live with the consequences and impact of fossil fuels and the industrial revolution. We need to identify ways we are engaging people at a local level and the kind of change we want to see in the world. We have over three and a half million supporters in the world who regularly engage with us in some way, whether virtually or in real life. We also have nearly 900,000 members who support us on a monthly or yearly basis financially, and who are participants as well. As you can see we are a powerful organisation and we pride ourselves at being very good at generating engagement, at presenting issues and inspiring people to get involved. We hold power at a local level with politicians and government lobbying and we make things happen in small towns and medium sized cities across the US. We help make important issues public and also encourage people to do something about them through activation and engagement. PZ: Why is your role important in Sierra Club? CT: My title is Chief Innovation Officer and I am hired to run the digital aspect of Sierra Club which is now separate from communications and fundraising. Digital is a priority within the organisation and is driving the way we engage people. Digital is the way we get young people more involved, online, today. My appointment marks a new, different direction for the organisation and my department has been set up to maximise opportunities. It’s a challenging role, especially within a large, legacy organisation. Digital is more strategic than just building platforms and channels, it fundamentally changes the way Sierra Club does its work. But this is being done in a way that is a natural evolution rather than shoe-horning digital concepts in to an organisation that has a strong DNA and has evolved in its own organic way over many years. My role as CIO is to figure out what the digital strategy should be, to build the platforms, to do the adaptations internally and to figure out how to get people to use this stuff so people are achieving the results they want and the organisation is effecting the change we all want. We want to be winning campaigns by using digital in a deep way and show how people are becoming more engaged. If a local leader used to engage 150 people and now that’s 300 and he or she is doing that in ways they hadn’t thought of before but can now see how impactful they are – that’s our mission as a team to deliver those things and work with other people in the organisation to understand them. PZ: Would you call this Digital Transformation? CT: Yes we are talking about fundamentally changing the way the organisation is doing its work and what it can expect. And doing it in a way that’s evolvative, in a way that makes sense to us, using the DNA of the organisation. We don’t want to be Facebook for green people – we want to take the concepts of grassroots that have always been there and which we’ve worked hard to evolve and bring them to the public – we’re moving that forward using digital. That would be my greatest aspiration for the work that we do; I think that’s very transformative. PZ: Looking at your intranet and internal communications, what were you looking for from a new provider? CT: The first and foremost, basic reason for change was that the intranet we had was deprecated and not doing what we wanted it to do, so people abandoned it and found their own tools of doing internal collaboration. We wanted to upgrade the functionality and improve basic stuff like how how do I find that staff person, how do I find out about benefits and where is that directory. We then wanted to make it better and more accessible for more people so we can get more content generated. In addition to our previous intranet being just old and deprecated, it was hard to find stuff. You couldn’t update content easily either. So we really needed a new intranet to be more distributed, more friendly to people with a spectrum of web savviness. Also because of the distributed nature of our organisation, it was important to avoid creating bottlenecks for getting content posted. Distributed is a big thing for us – we are not going to be able to publish a lot of important information in the organisation if it has to be funnelled through a content or HTML developer. We need to distribute the ability to generate that content out to the people that are doing the real work. So we start looking at the basic functionality and then we thought what are the opportunities here? We realised we are really big internally, we’re distributed and there’s a lot of interesting ways, systems and processes that fit together within Sierra Club. There’s the way that we engage the external world but internally there are tens of thousands of people internally that are doing our work so how we communicate internally is hugely important. We are also spread geographically across America and have people with different digital skills who are involved at a local level. Our task was to create not only an intranet but a collaboration tool that everyone, whatever their level of involvement, could use and be engaged. The new intranet was the technical solution which was our opportunity to work smarter. This is the most important part of our involvement with Invotra – that we can create a sophisticated tool that gives a lot more people access to much deeper levels of collaboration and information, and that there are also social functions. There is also a lot of opacity between people and a lot of siloing that happens. People in Sierra Club in Missouri won’t have a lot to do with people in Colorado even though they face much the same issues. To alleviate this we have annual meeting and leaders get together but we wanted it to be more robust and for there to be transferable, collaborative work on a more regular basis to capitalise on the power of the organisation. So we now have a tech solution that provides an integrated network and helps people who are looking for the same thing. We also wanted to enable the updating and sharing of information, to enable local leaders to give activists access to important information and to communicate with each other while working on issues. Our aspiration is to be clearer internally, to have a better sense of who we are, who does it, what we are doing and what the results are. This is important for our equity work – getting more people seen, getting people to talk about their experiences and giving them a platform to help change the culture of the organisation. Via digital, we want people to participate more deeply – to move from being a supporter to an activist or then volunteer with the ability to reach out to others. We want to break down barriers that have naturally grown up over 126 years when you let an organisation grow organically. We remain an organisation for people, for civic participation, that operates in a controlled and organised way to create an effect. PZ: How do you become aware of Invotra and what were the deciding factors in choosing Invotra? AK: We considered a custom-build but then we realised there were options out there in this space. We had a list of platform features we wanted – it soon became clear, in doing the demonstration with Invotra, that you guys ticked most, if not all, of the important boxes. PZ: How did Invotra’s technology align with Sierra Club’s? CT: One of the key things was figuring out the integration with Salesforce and figuring out if Invotra had done it before or was capable of pioneering that with Sierra Club. It was important to us to have Single Sign On (SSO) across our systems and for our different volunteers bases including our Keeper community, our intranet, as well as for AddUp, our online engagement hub. SSO is also important for the user experience, to have one place where people can self-serve (update credit card information, addresses etc) and access the full range of our digital promotionals tools. PZ: Are there any other tools which are useful, that you have added or are looking to introduce? AK: We did start with a stripped down version of Invotra. We had to start somewhere and recognised we were introducing the new intranet to over 800 staff plus thousands of volunteers across the country who perhaps only touch the internet a couple of times a year. We wanted to minimise a steep learning curve. We have just added news, new pages and site sections, web forms and are now looking at introducing blog features & Ideas. We are keen to demonstrate our value of equity and inclusivity and create tools so anyone can engage with us. A platform like Invotra, which is Drupal-based, does a lot of that well. It’s great there are so many options, that are configurable to the specific needs of the organisation and that we can release functionality as we go. We are extremely pleased with rollout so far but obviously the real work continues. Our objective is to get everyone off the old system and on to the Campfire portal and community intranet so we can all live and work there. We like having an out of the box solution but it’s hugely important for us to tailor our intranet and this has made the rollout smoother for end users. We have found the experience of changing technologies to be a surprisingly good experience, hopefully on both sides! I know for Invotra, Sierra Club was different from your previous customers too. PZ added: Indeed you have pushed us on SSO and Salesforce integration which has been a helpful experience for Invotra too. We love responding to customers like Sierra Club and rising to any challenges you throw at us – it’s generally been great working with you – you’ve even forced us to adopt American spellings! PZ: How do you tackle the challenge of balancing control and flexibility as administrators for Sierra Club? CT: Firstly, it is important to find the right approach, to understand the balance required between openness and control. How much do you want to control messaging in a grassroots organisation anyway? There is a delicate balance of opening up some control VS protecting your brand and the organisation. We are working hard to deliver a digitally transformative grassroots approach for Sierra Club. We are pleased to have partners that we know can help us figure these things out. We need to establish digital solutions that enable rights privileges while maintaining the philosophy of the organisation. CT: As an environmental non-profit we have talked for many years about the coffee filter of engagement. The problem is linear – people start knowing nothing, then realise it’s too hot in the world, so start to do something about it. They take action online, then get involved in the local community, then they become volunteer leaders and activists. So a basic challenge is to improve our marketing funnel/ladder of engagement. We do a lot of online marketing to reach people and inspire them – get them to take one action, two actions over a period of time, get them to become lifelong customers. We’re trying to figure out how we sell issues, solutions and engagement with people, using tech. Invotra occupies the fat middle of our engagement arsenal – further down we have AddUp which is the online engagement platform which is geared up to engaging those millions that we mentioned earlier and giving them a satisfactory experience that isn’t just ‘clicktivism’. Here I mean – I put my email address in the petition and I made change happen. We’ve moved beyond this. We’re trying to figure out – after I’ve put my name on the petition – what’s the next step, what did my involvement look like, what was the result of my involvement and who are the other people who are also involved? 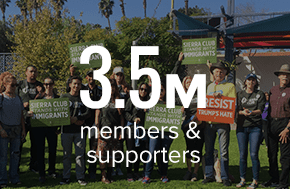 The AddUp platform is the first step to being involved with Sierra Club – a solid real experience of what activism looks like in the virtual world. When we start moving people down in to the marketing funnel we can show how you had an impact, let other people know who you are locally, communicate that Sierra Club takes you seriously and that other people within the organisation now know who you are. So we can then try to encourage the activist to come to the next town hall meeting, to physically turn out and represent concerns for this issue in front of a local politician. That’s how we move people on to the Invotra platform when people start saying they want to read that strategic document. They want to go to the meeting with the local organiser, then meet with other organisers, stuff envelopes and get more involved in what needs to be done. Next you might be part of a leadership team, organising your own events – become the head of one of our chapters. That’s the area where we can generate more interest, greatly expand our reach via our AddUp platform and then convert more people from that big group in to higher levels of conversion for leadership, for turning out, and for meaningful volunteering. Put simply this is about getting more people through the marketing funnel, converting people from the virtual to the real world, so they continue their relationship with Sierra Club for longer and in deeper ways. Our aim is to give people a richer experience in terms of participation – they can go to a meeting and then the next day they can read the results and outcomes from the group, they can add comments, set up the next meeting etc. We believe by making communication and collaboration between people easier and frequent we can keep them more involved via more touchpoints, probably 2-3 times more than if we were communicating with them just by email or telephone or a newsletter. This more intensive interactive engagement leads to great participation at the local level. This engagement, and the breaking down of silos and having greater information flow between people is making great progress in people’s involvement, passion and dedication. How we measure people as they go through that journey is critical to success here. Data is a huge thing for all of us. That’s our starting point with Salesforce – it’s about having a system which captures as much as possible – that knows who one person is and captures all their interactions and touchpoints so we can learn from them. It is key for us to understand who our people are, how they participate, what interests them and to listen to them through their direct messages and through their actions. That’s using data smartly – we can set up platforms, link them together and have a smart strategy but if we don’t understand who the people are and how they behave then we won’t maximise our potential. We now have systems that can help your find your outing, RSVP and check in all on your mobile phone – tech gives us the opportunity to convert a real-world scenario to a datapoint so we can add that to your profile. Our work is to let people know all the touchpoints available for people to get involved, we can’t leave it up to the public to do that, it’s Sierra Club responsibility to help and guide the public. Invotra helps us solve problems, to second guess what people want from their actions, what motivates people to get involved so we can take them on a journey via data. That’s why Salesforce’s integration with Invotra is also key – with SSO we can connect more dots. PZ: And at a national level what can you do to drive better communications? CT: Well we use Invotra at a national level to create solutions for the group including integrating with Salesforce and other distributed systems like AddUp. One of our biggest challenges is adoption – the obstacle between what happens nationally and locally. We can’t demonstrate our power unless we link these two – the whole premise of the organisation is that we’re about our people, not a product. We sometimes struggle with differing views – local people know their constituents and don’t think they need national help – they have a Rolodex and a clipboard. We need to move out of the ‘build it and they will come’ attitude. It’s important we set the right strategic direction and invest the time, energy and leadership to make it happen. What’s our role in doing this? It’s about tech, user systems and also content, strategy. It is harder to rollout sophisticated tech, that is high octane with big ideas, in a distributed organisation. We want people to use the new technology but we can’t just tell them to. Our digital transformation is expensive, takes time and expectations have to be gauged constantly. AK: I would agree that the Invotra site is doing a great job and that the Campfire community is making the invisible visible. People are getting there now and we’re tweaking navigation so people can quickly get a sense of everything that’s available. It is important to break down any silos, reduce the information deficit and make sure people understand if they want to find policies that they can get there quickly through navigation but also through search. PZ: And what does success for Sierra Club’s intranet look like in the future, say by 2020? How would you define or measure this? CT: I am not sure what the gold standard looks like yet. Very high adoption obviously – people using the services, content being created organically, seeing people interacting on content using some of the social features and people actually doing work through the Campfire community. This gives people extra tools in the toolbox; the current intranet has been crumbling for too long. Anyone using the system historically, over the previous few years, will be unaccustomed to using the Sierra Club intranet for most simple tasks, which are now available, for example for HR forms. So we need to shift the organisational culture so people recognise that the internal website is just as important as external. Traffic – how many people have accounts, how many people are flowing through the site, how many groups have been created, how active are 30% of those groups, is it more than once a week? I will personally be very pleased to see a lot of groups, activity within them, content generated and a lot of openness across the board. I want to see there is life in the intranet, that search is happening, how many happenings each day and that people know it’s a place they can find things. Also anecdotal – it really excites me when people refer to our services like AddUp and Campfire, as an essential part of their normal day, when they go to meetings and you can see it is having traction within communities. Distributed is important for us, the tech and the process – we want to encourage a new way of organising that gives more power over to those who use the platform. And we want to devolve responsibility in a way that enables some control and moderation but allows for the power of grassroots to rise up. SMS is becoming more important as it allows people to create asks and distribute to others, in groups. This could increase turnout for the rally, get people to RSVP, check-in and stay engaged. This is intriguing for boosting activism. How do we reach more people to turn out is a burning question and especially different audiences – people of colour, millennials, young people who are unaware or have a misguided idea of what we do. So we are looking to increase our messaging-based reach and advertising tools to enable quicker engagement, especially on mobiles – reaching out to people where they are. It’s intriguing – to penetrate new audiences and rejuvenate the constituency of the Sierra Club, with new and future generations. We will target messaging and tools that people are using every day, and that makes sense to them but are not invasive to getting them involved. In terms of future tech, I’m not sure if virtual reality is as relevant to us but we are interested in personal voice assistant – for example answering the question, ‘how do I solve climate change?’ and position Sierra Club as an action to that. Regarding security, we are rightfully, naturally paranoid. We have a lot of people engaging with us – control vs openness is important for us to be effective but that also raises issues. We take steps to build trustworthy relationships and have the ability for us to password protect and give users different access rights. Security is a priority and we are investing in and deploying the best practices in terms of tech, rights access, firewalls and policies. PZ: Thanks so much – Invotra is delighted to be part of your journey and to help Sierra Club represent the US landscape in the way that you do, remaining powerful, from the 1970s when I was a kid up until the present day.